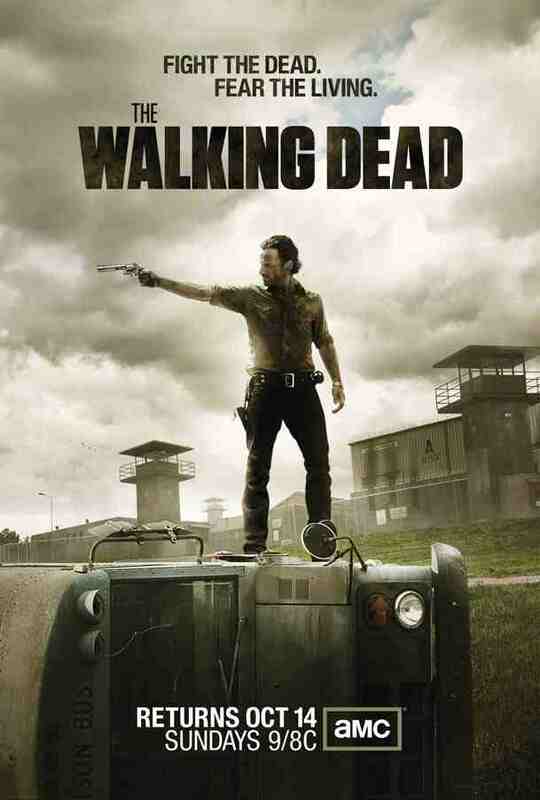 Check out the new official poster from AMC for ‘The Walking Dead’ showing Andrew Lincoln as Rick Grimes in front of the prison that will be a focal point for the third series. In an uncertain world, Rick Grimes (Andrew Lincoln) and his band of survivors must not only fight the dead, but also face a whole new fear: the living. Returning for a 16 episode season, ‘The Walking Dead’ stars: Andrew Lincoln, Sarah Wayne Callies, Laurie Holden, Steven Yeun, Norman Reedus, Chandler Riggs, Lauren Cohan, Scott Wilson, IronE Singleton, Melissa McBride, David Morrissey and Danai Gurira. The series is executive produced by Glen Mazzara, Robert Kirkman, Gale Anne Hurd and David Alpert with Greg Nicotero as co-executive producer. ‘The Walking Dead’ Season 3, debuts in the US Sunday, October 14 at 9pm ET/PT on AMC and in 2013 for the UK on FXUK and Channel 5.